Posted in Bright Ideas / Blog on March 8, 2017. How Do People Search for Local Businesses? 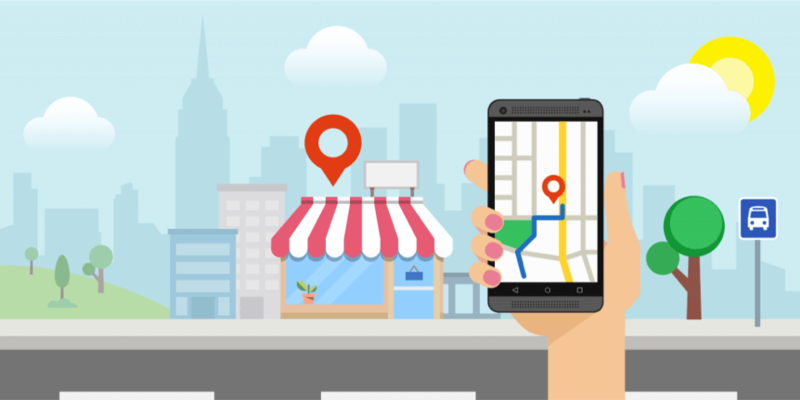 The importance of local SEO is almost impossible to underestimate or undersell, especially with the advent of mobile search. BrightLocal’s extensive consumer research has shown that the majority of consumers search for a local business online on a regular basis with 69% of people searching at least one time per month in 2018. Conversely, there is a significant decrease in the number of people who never search for a local business online — now just 8% of people. We already know that consumers hit the internet when they’re searching for a product or service. We also know that thanks to growth in mobile internet usage and the development of “micro moments,” this hunt increasingly take place ‘on the go’ and from a mobile device. When the hunt for a product or service intersects with the convenience of browsing on a mobile device, there is a natural inclination to search for a store or service nearby. If you have ever driven through a new town and searched for a Starbucks near your location, or been on the hunt for a vet for your pet within a few convenient miles of your home, or even hunted for a local yoga class as part of your new fitness regime, then you’ve contributed to the growing importance of local search. What’s more, you already have firsthand experience of the factors that drive consumers to search for local businesses. Search Engine Land columnist, Jim Yu calls this hyperlocal search and has it pegged as a dominant means of local business discovery for 2017. He says, “Google Trends clearly show a dramatic increase in “near me” queries, particularly since mid-2015. Hyperlocal targeting, or marketing to customers within your area based on their location, has the potential to help brands answer the immediate needs of their prospects. Increasingly, there is a tendency for local web searches to turn into cash in the register, making local SEO a no-brainer. Interestingly, it’s virtually impossible to separate local search from mobile search habits. According to Google data, 76% of people who search for something nearby on their smartphone visit a related business within a day and 28% of those searches result in a purchase. What does this mean for your local search strategy? There is a clear correlation between local search and purchase intent so figuring out how to get on Google local search or improve your existing poor local search positions, should be a priority. So, now comes the hard part — either learning how to do SEO for a local business or more likely, gaining an idea of how much local SEO costs so you can choose between quotes from optimization consultants and SEO agencies. As with traditional SEO, carrying out local SEO should be approached with a medium- to long-term mindset. The recently reported on a video released by Google, in which the search engine advised that webmasters should expect to give their SEO professional an average of between four months and a year to first implement any needed changes and then translate those efforts into visible ranking changes. So, we’ve seen evidence that a strong local SEO presence can be tracked through to increased sales. It should be easy to make a business case for carrying out a local search campaign, but you’ll still want to know how many clients you need through the door to justify the expenditure. As you might expect, there’s no one answer to the question: “How much does local SEO cost?” The prices vary greatly from agency to agency and state to state. can help with some average figures though, which should help you figure out budget allocation. According to Foster, there are roughly three tiers of local SEO service and prices will typically range from around $300 to $2000 per month. At the lower end of the spectrum, $84-$500 per year for a small-scale campaign using automated tools, such as citation management, is the norm. Next up, a small local search marketing campaign from a service like the Yellow Pages. Expect to budget around $400-$900 per month for this type of local SEO campaign. Depending on the agency and package, you may get some content or social media posts thrown in — plus Google My Business management. At the top end of the scale you have a full-on local search campaign with all the elements you’d expect from a traditional SEO operation. This can include link building, content creation, landing page creation, citation building, mobile SEO and other services. On average, you should expect a monthly bill in the neighborhood of $900-$2,000, depending on the agency and the services you choose. Reviews are an increasingly crucial element of the search, sales and buying process. Now more than ever online reviews are used by consumers searching for a local business or service provider. The evidence was overwhelming in our last Local Consumer Review Survey. However your consumer base searches for your local business and regardless of the local SEO provider you contract, it’s vital to include online reviews as part of your local SEO process. Is local SEO important to your business? Or is local search something you’re just starting to think about? Share your thoughts with us, we’d love to hear from you.